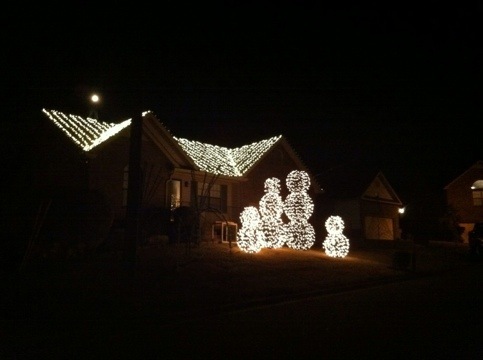 Snowman Family and Roof Lights! Today was a big day for Gill’s Bright Lights. We accomplished a lot! 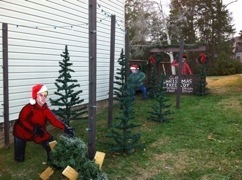 We installed the Christmas Tree Lot on one side of the house and Elf Village on the other side. Friday Gill installed the 12′ Daddy Snowman! It is HUGE! Then he installed the 9′ Mom Snowman. He also spent the day on the painting the roof with Christmas Lights for the first time ever! We even tested the lights tonight and they look great. 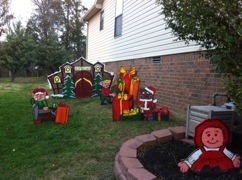 Here is a preview of the roof lights and The Snowman Family on Pinwheel!